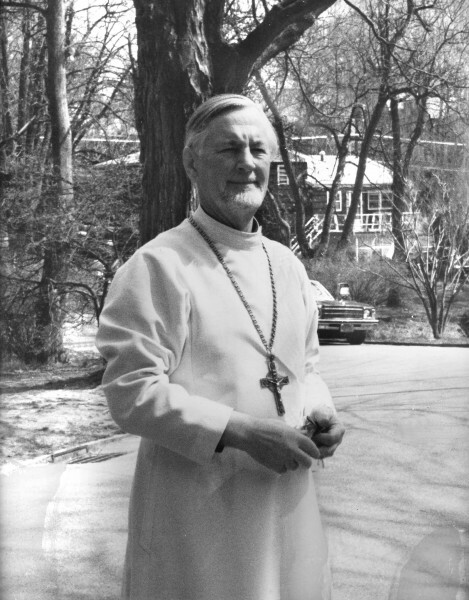 As I consider not the details but the broad framework within which our beloved teacher, Father Alexander Schmemann lived, taught, wrote and lectured, I realize that he shared, with all the ancient Holy Fathers of the ancient Church, an approach, a vision, an experience of God, of Christ, of the Christian Faith and the life of the Church that was essentially contextual and pastoral. I hope to explore briefly these two themes in this essay which I write today in his memory. Father Alexander is often misunderstood and even maligned today as an “innovator” or “modernist” as if he were trying to change and violate the spirit of the Orthodox Tradition according to his personal tastes or prejudices. But anyone who knew him also recognized how fundamentally “conservative” he was. While his academic and theological interests were essentially historical, he saw history as providing a wider context in which to understand and address contemporary issues. History, for Father Alexander, is the continuing story, the next chapter for which we are now responsible, while remaining faithful to all that has gone before. Precisely because of the depth of his historical understanding of the Church and her many struggles, he was able to draw on two thousand years of experience to highlight whatever was pastorally appropriate to the problems of 20th century America. He did not see the liturgical practices of any one era as determinative for all times and places but sought to understand the evolution of the liturgy over the centuries so as to apply what was best and most useful from this heritage to the pastoral concerns of today. His vision and criteria were absolutely pastoral, and one might add in North America, missiological as well. With his broad knowledge of Church history and the history of liturgy, Father Alexander sought to examine and highlight those practices, authentically Orthodox, from whatever time or place, from any epoch or ethnic tradition that might help better to convey the Orthodox Tradition, the spiritual treasures of the ancient Church, to modern North Americans, both “cradle” Orthodox and potential as well as actual converts. 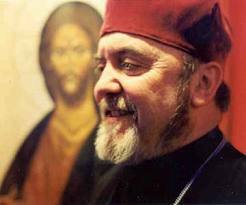 Applying this approach to the celebration of divine services, he recommended the extensive use of English, at a time when the vast majority of immigrant communities were still worshipping in their ancestral languages–rendering Orthodox worship unintelligible to any visitors or seekers who might attend a service. If the Church is in North America for all the people of this continent, Father Alexander would argue, then it must be accessible to them. This may not be true for many jurisdictions who define their mission as preserving an ancestral Faith in tact, in the same condition as they remember it in their homeland, somewhere else. But if the Orthodox Church in America remains true to its own history, as a mission to America for Americans (who were originally the indigenous tribes of Alaska) then it must translate and teach in the local language, continue an outreach to the local community, and focus on its situation, its needs, its heritage, its culture. This was the genius of the Alaskan missionary saints who learned the various languages, developed writing systems for them, produced translations and opened schools, training an indigenous clergy to lead the Church in the first half-century of its existence. The Church, as a mission, must adapt to the context into which it is sent. But this is exactly what the Church as done through the centuries. What else was the adaptation of the Greek language necessary in the first centuries of Christianity? Why else did the Church spend seven centuries, struggling to find language adequate to God, adequate to her message, re-defining and virtually re-inventing Greek terms, bending them to the meaning the Church required to articulate and explain the Gospel to a Greek-speaking intelligentsia? Every controversy that the Church entered, every heresy she confronted, arose from within the Greco-Roman classical worldview, a culture that radically separated the physical and spiritual worlds, making the incarnation of the Word of God “folly” to the Greeks. Christianity contradicted this basic axiomatic belief that the earthly, physical, material world was perishable and unimportant, while the heavenly, spiritual, intellectual world was eternal and of supreme value. Every heresy that arose during these centuries sought to “explain” Christ by minimizing either His humanity or His divinity and preserve the basic division between the the Spiritual and Material realms. All Patristic theology, all the debates and intellectual struggles in which Christian thinkers engaged during the Age of the Councils, erupted in this cultural context, and the Fathers composed their theological response not as philosophical speculation, but precisely as a pastoral necessity within this context. The Fathers were pastoral and contextual. Liturgy adapted to the pastoral needs of each culture as well. One could write the history of the Orthodox Church precisely in these terms. “The Church,” Father Alexander used to say, “always changes to remain the Same.” Problems arose when later generations began approaching, understanding and explaining the writings and canons of the ancient church in an essentially fundamentalist way. In other words, the text dictates the solution to the problem: whatever is written must be true, and preserved in tact, forever. The difficulty with this approach is that it is fundamentally flawed. The Fathers never cited proof texts alone but were free to redefine and even invent new terms to meet the pastoral needs, which were always central to their thinking. Why worry about the difference between homoousios and homoiousios, one iota different? Because the very essence of “salvation” was at stake. But whose salvation? The salvation of Christians, the salvation of the world! The ancient church debated these issues for decades until, under the guidance of the Holy Spirit, the Fathers could announce, as the Holy Apostles had done in the beginning, “It seemed good to the Holy Spirit and to us…” having arrived at a unanimous consensus on a particular issue. These arguments often lasted for years, with conflicting and contradictory conclusions, the discussions becoming rather heated and even violent at times. But when the Truth is finally articulated, it becomes self-evident. It requires no further discussion or “proof.” The Truth is what it is. There is no external, or rather no empirical criterion, no guarantor of truth, either in the person of an infallible Pope, nor in the letter of Scripture. We know the Truth when we encounter it. After this, we struggle to articulate it as best we can in human language. The Church never has sought to define it, but has only sought to draw some boundaries, some perameters around the Truth so as to exclude certain distortions or misconceptions about it. God cannot be defined or reduced to a philosophy or system. A God who could be so comprehended by human thought would not be God but an idol. Anyone who claims to have figured God out has fallen into grave and dangerous delusion. “Never assume a rational universe!” was one of Father Alexander’s memorable warnings. If our focus in North America is to be pastoral and contextual, we need to know what our context–21st century Western Civilization–is. Then we need to know thoroughly our Faith Tradition. And finally our “mission” is to apply the Orthodox Vision, to articulate it and celebrate it in a way that communicates the Eternal Truths of our Faith, to these people at this time and this place. Once we accept the pastoral imperative of our mission in this context, certain adjustments become reasonable and even necessary. For example, if we accept the pastoral and contextual criteria, how should we best celebrate the Divine Liturgy? Should the Royal Doors (as in modern Russian practice) remain shut? Should the mystical prayers that render the Anaphora intelligible be read silently? Should we insist on worshipping in unintelligible languages? Should we refrain from any lengthy or meaningful preaching? Should we discourage the Faithful from participating in the Holy Mysteries except perhaps a few times a year? Or should we rather allow the Royal Doors to remain open through all or most of the celebration? Should we read or chant the prayers aloud so that all may prayerfully participate? Should we use the language of the community in which we live? Should we explain our faith in thoughtful, well-articulated and challenging sermons? Should we encourage the Faithful to join in the celebration, singing, praying and participating in the Eucharistic banquet? Father Alexander encouraged the latter, not because he was trying to stir up trouble, not because he enjoyed being an “innovator” or because he was a “modernist,” but because he was essentially a pastor concerned for the salvation of the people of this continent, this society. He was a contextualist, which means he was essentially Traditional, in the best Orthodox sense of the word, and not a fundamentalist, focused on a fixed text (as the ultimate criterion) and an attitude alien to the authentic Orthodox Tradition, alien to the mind of the Fathers. His concerns extended to the language of translation. The original poetic masterpieces of Byzantine hymnography often do not translate well into modern English. The particular “genius” of the English language is its concision, its focus on expressing, in a minimum number of words, a concept with clarity and precision, while the medieval and ancient Greek texts may come across as clumsy, wordy and even unintelligible. Once again applying the missiological and pastoral criteria, “accurate” “word-for-word” translations often fall short of the goal. Returning to Elizabethan English in no way guarantees pastoral or missiological “success.” In fact, literal translations usually fail in this regard. To be open and accepting of all who attend, isn’t it time to make the language of our services more inclusive, rather than give the impression that men have any priority over women? Our latest translations return to an archaic use of the word man that is at least controversial if not insultng to women–and inaccurate. The original Greek pronouns were inclusive of both sexes and perhaps in centuries past, the world “man” could be interpreted to mean both men and women, But this is no longer true in modern English usage. Should not the Church take this into account. Context demands another approach to liturgical translations. Idealizing a particular usage or translation does not solve the problem. The most recent translations, published by the OCA and others, in fact represent a fundamentalist return to a word-for-word approach that abandons the grammatical and syntactical norms of 20th century English. Why omit the “let us ask of the Lord” endings to petitions in the Liturgy because the phrase is absent in a Greek or Russian original, when doing so makes no sense in English? Why shift the texts of the mystical prayers in the published texts, where they were placed for pastoral and missiological reasons in the earlier 1967 publication, to the middle of litanies, where they cannot logically be read? Why drop the words “and love” as the chalice is brought forth because the modern Russian text does not have it, (but the modern Greek text does)? Is there a foreign criterion to the “correct” usage, or are we free, within the context of our own culture, to determine what is appropriate and necessary for our pastoral and missiological needs, here, in this country. Can there be a foreign–from another time and place–”right” way of doing things, or are we not required, in the pastoral spirit of the ancient Fathers, to determine how best to address our needs in this country? Certainly a fundamentalist approach is simpler. We are relieved of any responsibility to think about or reflect upon what we are doing and why we are doing it. But in that case, the Church does not need human pastors and teachers. A computer can do the job! Or are we afraid to adjust to our context, afraid we might “get it wrong”? It seems to me, in the spirit of Father Schmemann that the only way to “get it wrong” is to forget where we are and why we are here. We have been, since the arrival of the Valaam mission in 1794, to bring the Truth to Americans in America, not to replicate or transplant an alien faith and nurture it in a foreign land. Father Alexander loved America. He was dismayed at the way some students rejected and condemned “the West,” knowing that you cannot teach, you cannot authentically bless, you cannot “save” what you do not love. Far from criticizing everything “Western” as in itself deficient, Father Alexander encouraged his students to appreciate and rejoice in whatever was good, wholesome, inspiring or beautiful in any culture, in any place, including the wonders of nearby Manhatten. If we are truly patristic and Traditonal, we must be pastoral and contextual. That was Father Alexander’s vision, faithful to the Holy Fathers while rejecting any fundamentalist approach to the creative and challenging task before us: to bring Orthodoxy to North America, not by copying or idealizing any former expression of the Faith, but by drawing on all that is beautiful, true and indeed eternal in it, and applying that, courageously to the pastoral needs of North America today. Perhaps some of his students became archeologists rather than pastors, thinking that if some practice had been abandoned centuries before, it was now their duty to restore it. But the antiquity of a given practice was never Father Alexander’s concern or agenda. If he encouraged a return to certain usages, his perspective was always pastoral and missiological. In this he was fundamentally contextual and therefore traditional, following the pattern established by the ancient patristic tradition. He did not write theology as an exercise in philosophical speculation, but as a pastor seeking to make the Truth known and comprehensible to people living in a new century on a new continent. 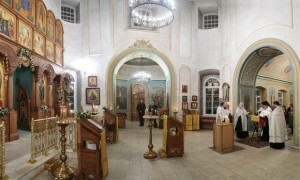 Let us now, on the thirtieth anniversary of his repose, renew our commitment to his vision, the Traditional vision of the Orthodox Church, according to the example of the Holy Fathers of the ancient Church, and in the context of this culture, this society, strive to articulate, proclaim and celebrate our Faith so that the Truth of Christ, the Truth of the Gospel, the Truth, the Reality, the Beauty and Glory of His Kingdom might be known, accepted and embraced by the people of this land, for their salvation and the salvation of the world. Let us not fear to revive some ancient practices if they meet the needs of our mission in this challenging situation, but let us not experiment needless and foolishly either, trying to introduce change where pastorally and/or missiologically, none can be justified. Father Alexander would have cautioned us all against such inappropriate and potentially divisive tactics! And let all of us who were blessed to know Father Alexander, on this anniversary of his falling-asleep, commend his soul, and ourselves and each other and all our life to Christ, our God.